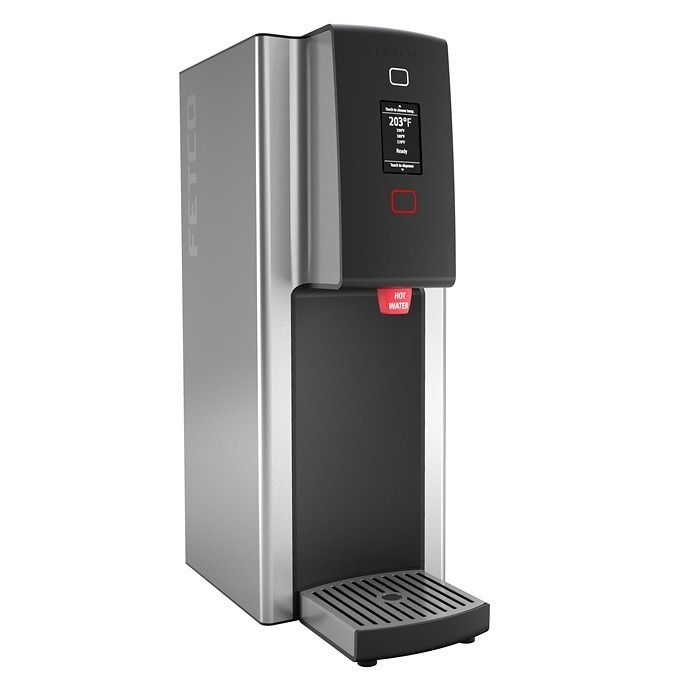 The new HWB-2105 from Fetco combines contemporary styling with state-of-the-art technology in a beautiful and functional hot water dispenser. The TOD (temperature-on-demand) models allows water to be dispensed at 4 different temperatures. 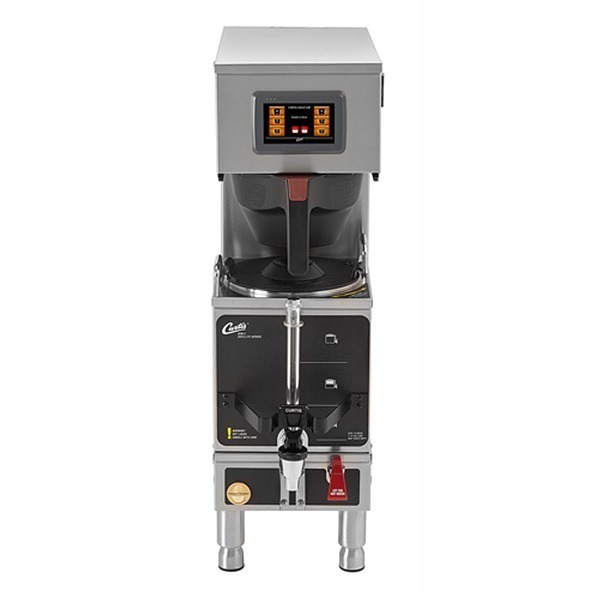 The Fetco HWD-2105 Hot Water Dispenser is a 5 gallon hot water dispenser that is perfect for coffee shops and restaurants – all in a beautifully-designed machine. The regular HWD-2105 keeps water hot at one digitally-controlled temperature. The HWD-2105 TOD model also keeps the hot water at one digitally-controlled temperature, but it can also quickly heat the water to up to 3 other temperatures – you decide the temperatures that fit your needs. Hot Water Dispenser has a 2 gallon reservoir that holds hot water for dispensing at your convenience. Touchscreen display allows for easy adjustments and monitoring. 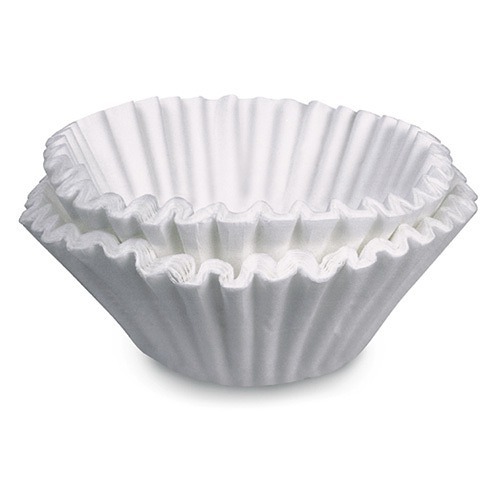 Makes 4-8.7 gallons of hot water/hour depending on electrical configuration. 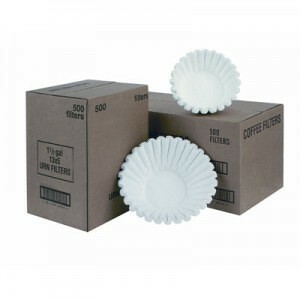 Silicone tap protects glass and ceramic from breaking. Float indicator in the drip tray pops up when drip tray needs to be emptied. Software can be updated easily via an SD card. The HWD-2105 can be ordered in either 120 or 240V versions. Both versions connect to a waterline for automatic refilling of reservoir. 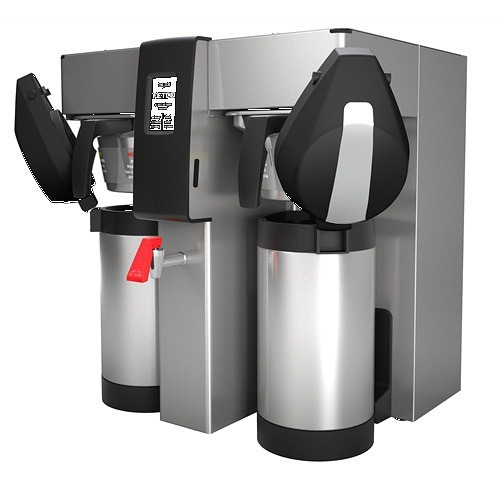 Want even more information about this great coffee maker, then check out the detailed Fetco HWD-2105 Hot Water Dispenser Product Spec Sheet.